Chief Minister Arvind Kejriwal, along with other ministers, also reviewed demonstration of ration vending machine, linked to biometric-based tablet machines (point of sale machines), for ration shops. 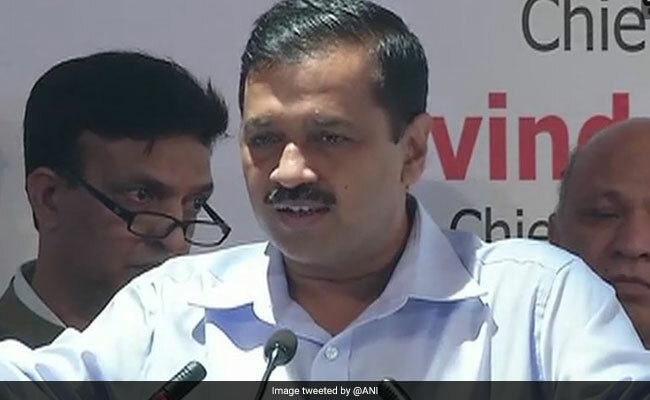 New Delhi: Delhi Chief Minister Arvind Kejriwal on Tuesday asked officials to work towards delivery of ration at people's doorstep through Public Distribution System (PDS). He made the observation during a review meeting of PDS in the city, along with Deputy Chief Minister Manish Sisodia, Social Welfare Minister Rajendra Pal Gautam, Environment Minister Imran Hussain, and Chief Secretary M.M. Kutty. Under this, beneficiaries will get their quota of ration delivered at their doorstep. Mr Kejriwal, along with other ministers, also reviewed demonstration of ration vending machine, linked to biometric-based tablet machines (point of sale machines), for ration shops. In this system, the biometric machine will recognise the beneficiary and send a command to the vending machine about the amount of ration to be given to a particular beneficiary. Mr Kejriwal said this system will solve theft in distribution of ration through PDS. The biometric system will recognise the beneficiary through his or her thumb impression, picture and Aadhaar number, while the vending machine will dispense the allocated amount of ration to the beneficiary.